Continuous Cord Loop (17) ? 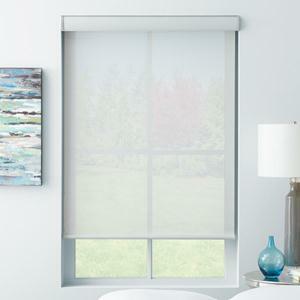 If you’re looking for classic style, modern functionality, and still stay within your budget, roller shades are the perfect fit. 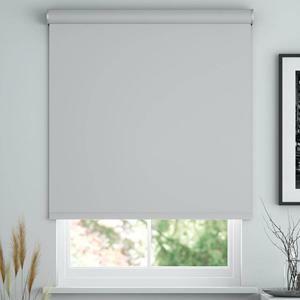 Traditional roller blinds have been around for a while, but the roller window shades at Select Blinds put a modern twist on an old classic. Now, no matter your style, you can find the perfect rollers to match. Light Filtering – Light filtering fabrics take in the light and gently diffuse it, creating a warm glow in your space. With this option, you won’t get the full force of the sunlight, but you’ll get the perfect amount. Room Darkening – Room darkening fabrics are in between light filtering and blackout. They let in some light, but not as much as light filtering fabrics. Blackout – Block the most amount of light with blackout shades. These are great for bedrooms, media rooms, and home theaters. They’re also perfect if you work night shifts and need to sleep during the day. Cordless – Because a cordless lift system comes available on all non-motorized products, it's never been easier to go cordless! Not only is cordless the ultimate in child safety, but it also gives the rollers a clean, modern, streamlined look. Motorized – Modernize your rollers by opting for motorization. 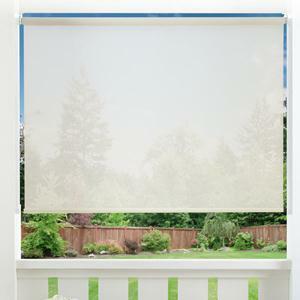 Raise and lower the shades easily with just one single touch of a button. If you choose remote operation, you can operate your rollers from your couch or even from across the room. It doesn’t get easier and more convenient than that. Continuous Cord Loop– Perfect for tall and large windows, this plastic beaded chain will fasten directly to your wall. 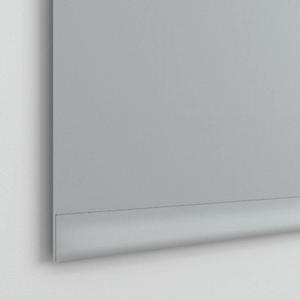 This feature is ideal for heavy window coverings and windows where you cannot reach the top. The chain is color coordinated to the fabric color you choose, providing a clean and seamless transition from fabric to lift cords. You can get a designer look without paying the full designer price, and when it comes to roller window coverings, you have some great style options. Good Housekeeping – When you see a product is backed by the Good Housekeeping Seal of Approval, you know it’s a quality and stylish product. The same is true for the rollers in the Good Housekeeping designer collection. Choose from fabulous prints, colors, and fabrics to create a one-of-a-kind look that perfectly represents your style, your personality, and your lifestyle. Finding the right roller window cover is easy. Customizing it to fit your life is where the fun begins. Just read over these roller measuring instructions to get started.